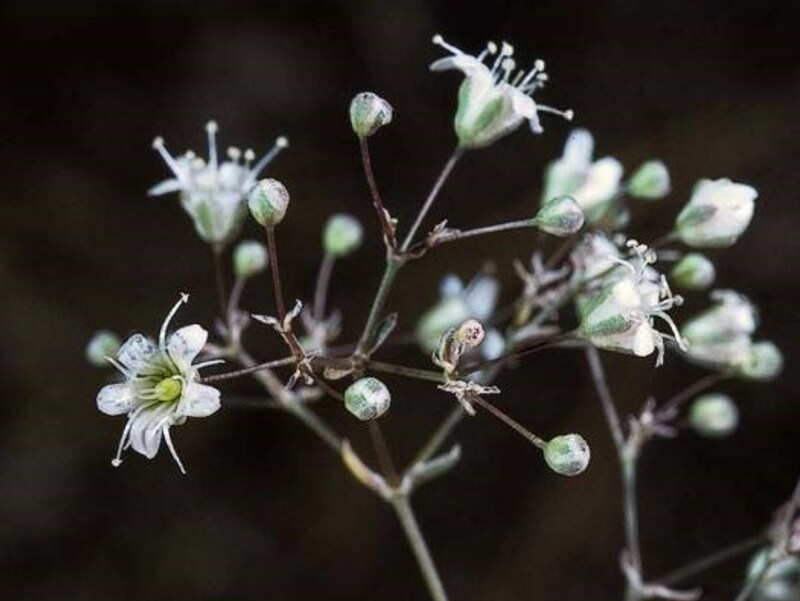 Gypsophila paniculata (baby’s breath) is a perennial herb (family Caryophyllaceae) with white flowers and thin narrow leaves found in the Sierra Nevada, coastal, northern and desert ranges of California. It is native to central and eastern Europe. It favors grasslands and dunes. It reproduces via multitudes of seeds which are dispersed by wind.